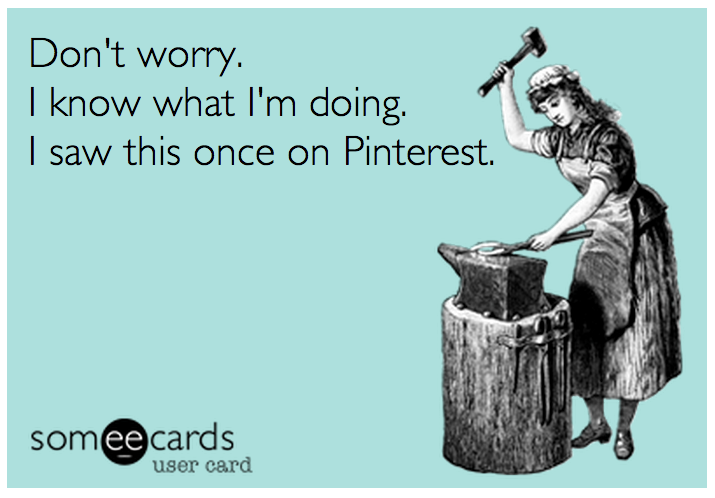 I am an avid DIY’er. If I can just do it myself and get it done for less money, then I will. But there are some jobs that I prefer not to do myself and there are some jobs that I definitely would NOT attempt to do myself. So how do you decide when to hire and when to DIY? It is a difficult decision with many variables to consider. Let’s explore a list of questions you can ask yourself that will make the decision simpler. Notice that I didn’t ask, “Do I have the expertise necessary to complete the task?” Chances are good that I don’t! Some of the DIY projects I blog about I’m attempting for the first time. Because I’m not an expert in everything I attempt, I have to be willing to research tutorials, watch videos, and in the end take the risk to try it myself. This involves time and patience and a willingness to fail. Adding new electrical components. I feel confident changing light fixtures, adding a dimmer switch, and rewiring my thermostat. But jobs that require running new electrical circuits and extending existing ones are beyond my comfort zone. The risk of doing these tasks incorrectly (electrical shock and/or house fire) are too great! Plumbing work. I have taken apart plumbing that is clogged, installed new faucets and shower heads, and hooked up appliances to the plumbing. But I wouldn’t attempt to run new plumbing in our house or modify the existing plumbing. The risk for me outweighs the benefit. Roof repair. There are some roof repairs that are relatively easy to do yourself. However, some of our roofs (we have multiple) are narrow and dangerous. Our top roof is three stories off the ground and the height risk makes most DIY’s a nerve-wracking no-no. I feel much more comfortable hiring out for any roof repairs! Home addition. If we wanted to add on to our home or finish off our basement, I would hire a contractor. When you begin knocking down walls or altering the framing of your home, you are entering the “permit zone” and will need to prove to your city that you know what you’re doing in order to proceed with your project. What are the costs involved including time, materials, and tools? If you are doing a project yourself in order to save money, it is important to remember that there might be hidden costs involved. Before beginning a project, attempt to calculate your monetary costs such as materials and tools needed for the job but also consider calculating the time it will take for you to complete the job. Once you have that number add at least 15% more! If you are anything like me, every project you attempt has at least one unanticipated “glitch” pop up that requires more money and more time. If you plan for it beforehand, you will be less frustrated when it happens. If that 15% puts you over budget or is more time than you are willing to commit, then you may want to hire someone for the job. Many DIY jobs require specialized tools that are quite expensive to purchase. Each of these tools also comes with their own learning curve and safety considerations. If you are just beginning in your DIY adventures, it is smart to go slow and build your way up to more difficult projects. DIY’ing in many ways is a long-term investment. How comfortable am I with chaos? Whether you hire out or do it yourself, things are going to get chaotic. You have to ask yourself how comfortable you are with your home being in chaos. For me, it is incredibly stressful having other people working in my house. We recently had some work done and although they did a fantastic job on what we hired them to do, I still had to deal with muddy boot tracks throughout the entire house including the carpet and a few other “oops” situations. You will still need to manage a crew within your home when you hire out. The up-side of hiring out is that the job is usually done more quickly than if you were to do it yourself. If you choose to do the project yourself, be prepared to live in chaos for a longer period of time. It is common to begin a DIY project and lose steam half-way through leaving the space unfinished and often unusable. This can be a stress on the entire family so try and plan the timing of your projects when you are able to finish quickly. My husband has frequently begged me to just get it done! I am notorious for starting a project and then moving onto something else before the first project is complete. I call it DADD (Decorating Attention Deficit Disorder). I hope these questions and points have helped make plainer when to hire and when to DIY. 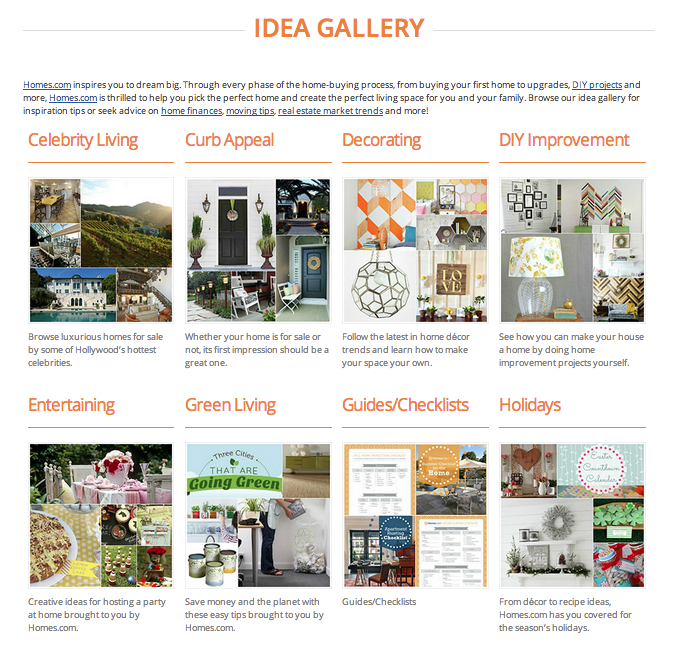 If you are committed to DIY and honing your DIY skills, you might be interested in checking out the Idea Gallery over at Homes.com. Along with a slew of other talented bloggers, I am a writer and blog ambassador for Homes.com and it’s a great resource for doable DIY ideas! Thanks Homes.com for sponsoring me as one of your blog ambassadors and for being committed to inspiring us to dream big! I’m much like you; I hire work that is crucial that it be done right and to code, like electrical wiring and plumbing. I also have done the small things, like installing fixtures and even adding an outlet to an existing circuit. But there is a reason those people have a license and most of all, I want things done right. I’m lucky that I’m married to a man who used to be a sub-contractor, and his father was a builder. Or at least, that was great when we were younger. We won’t be doing another build by ourselves. Our backs and joints just can’t take it now. Same with floors and roofing. The good thing about any experience in diy is that you know enough to tell a sub-contractor what you want and to be able to tell how well they do it.